A tax audit is a nerve-racking experience for any taxpayer. When subjected to the scrutiny of federal investigators, anyone can feel like a criminal, even when they have done nothing wrong. This can make it particularly difficult to respond to allegations of tax fraud that actually resulted from an innocent mistake. How do investigators separate mistakes from fraud, and how can audited taxpayers prove mistakes to end investigations as quickly as possible? Investigators look for key indicators that distinguish an innocent mistake from genuine fraud. Patterns of behavior generally look intentional. It is, therefore, difficult to convince an auditor that a repeated mistake was not intentional fraud. Avoid patterns of mistakes by seeking the advice of a qualified tax professional. Be sure to seek a second opinion if and when it is necessary. Auditors also look for concealment of assets. Many actions can appear to be concealing (even if they are not). Creating trusts, corporations, or other legal entities can give the appearance of a taxpayer who needs a place to hide assets. Filing some tax forms but not others may cause an auditor to think you have intentionally withheld detrimental information. Filed forms can also be problematic if you underreport business income or inflate expenses on them. Finally, the manner in which you perform financial transactions can also be a red flag to tax investigators. Using cash, consistently making deposits of just less than $10,000, and using traveler’s checks can all look like measures designed to prevent accurate documentation of assets. 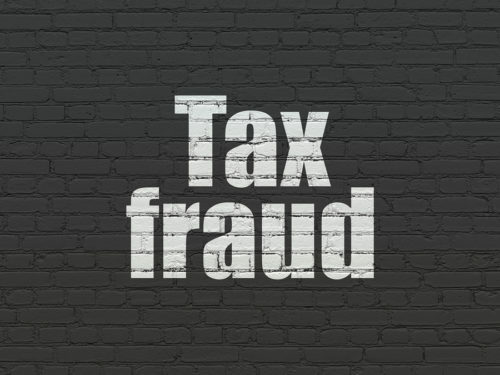 To defend against allegations of tax fraud, you must prove that you did not intentionally file incorrect forms, fail to report income, or commit other acts of tax fraud. You can accomplish this in many ways. If you relied on advice from a tax professional, for example, you may resolve the audit simply by providing the tax professional’s information to auditors. In other cases, auditors may require more detailed documentation of the tax advice that you received. You should not, however, hand any of this over to the authorities without first consulting with a criminal defense attorney. Such documents can inadvertently incriminate you as well as the tax professional, and a defense attorney can protect your constitutional right against self-incrimination. In cases where the incorrect forms were filed or forms were filled out incorrectly, you may resolve the audit with a simple amended filing. Investigators will generally alert a taxpayer when they can resolve an audit with a simple amended filing. Depending on the nature of the amended filings, however, this may result in greater overall tax liability. Moreover, taxpayers must consult with an attorney, accountant, or other tax professional before filing any amended forms. Filing incorrect amendments can make the audit process even more time-consuming and costly. Embezzlement – If a person or group of people is taking assets or skimming from a business, they will need to cover their tracks by using false information on taxes. Money laundering – Concealing the illegal source of money and integrating funds into the legal stream of commerce often involves significant false record-keeping. These falsified records can then become the basis for false tax returns. Bankruptcy fraud – If someone files for bankruptcy and tries to conceal assets or income, they will likely also conceal the assets or income on their taxes. Conspiracy – If investigators suspect that tax fraud is part of a larger corporate scheme and they charge more than one individual with tax fraud, prosecutors may also pursue conspiracy charges. Whether you are facing tax fraud charges based on your personal returns or have been charged with multiple white collar offenses, your first call should be to an experienced Philadelphia criminal defense lawyer who knows how to handle cases in both state and federal court. Attorney Brian J. Zeiger is an experienced criminal defense attorney who has defended clients from many types of tax investigation and criminal charges. He delivers the personalized service you deserve. Don’t fight criminal charges alone—rely on the skill and experience of a qualified defense attorney. Call (215) 546-0340 today to schedule your consultation.